SEOlium: Ammon – can you describe your career path so far? Ammon Johns: Meandering. Well, it was until I discovered the world of online marketing back in the mid Nineties. In many ways, that worked in my favour. It meant I had a widely diverse set of experiences and skills to bring to this business. I’d worked in retail, in security, in transport, and I’d worked my way quickly up a dozen career ladders, from lowly shop assistant to shift manager, from guard to Site Supervisor, and from Station Assistant to working on a major project alongside the line management for London Underground’s Piccadilly Line. But I’d never felt I had a career, rather than a job, until I discovered Internet Marketing, and web promotion as we called it back then. There was something about it that hooked me right away. The strategy element, I believe. I’d always loved strategy games, and working on web promotion felt like the most open, most amazing strategy game of them all. I get to call upon the diverse skills of my background, and all those jobs I had trying to find one I could stay interested in. The years studying multi-media as an AV technician, mastering everything from designing and printing posters and handouts, to recording and editing audio, cine film, and video gave me a rare insight into the multi-media of the web. My retail experience translated directly to virtual shops and displays of goods, and customer care. Plus, my fascination with psychology, fuelled with people-watching in so many unique environments, well, that plays a huge part too. 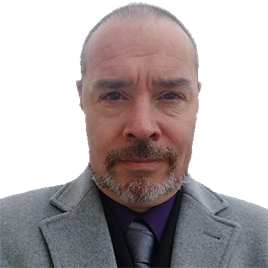 Since starting as a web promotions guy, I’ve worked in every industry from online adult sites and dating sites, through pretty much every vertical there is. I’ve worked for national banks, international media companies, major telecoms companies, and yes, hundreds of small businesses too. It’s been like having a thousand jobs in one. SEOlium: What does someone have to do in order to become a worldwide renowned SEO expert? Can you share the short recipe, please? Ammon Johns: The short recipe is that you have to not try to be one. What I mean is that if you set out to be famous, or an expert, you’ll end up chasing the wrong things. Because you’re in it for the wrong reasons. You’d be chasing your own ego and pride, instead of chasing knowledge of your craft. The first step to mastery, in any field, is mastery of self. Aggrandizement of self is not at all the same thing, and will actually be an obstacle to learning, as you’ll end up wanting your assumptions to be right, and not challenging yourself with enough humility to truly learn. Without humility, learning anything at all becomes far, far more difficult than it needs to be. I still don’t refer to myself as an expert. I’m a life-long student, who is ahead of many others in the class, and willing to help them with their homework and assignments. But we are all still learning. Every day. Anyone who calls themselves an expert is usually some make-weight charlatan, who wants you to buy their course or eBook, and it won’t be worth the money. I don’t have all the answers. I simply have more than 20 years of experience in finding answers, specific answers. And because the Internet is still evolving, on a daily basis, that’s more valuable. Because not only will many answers change tomorrow – so will the questions. Instead, ask yourself just this one simple question: why did you want to interview me? Why do you regard me as an ‘expert’. Because that’s where the answer lies – in how others see you and how you make them view, think, and feel about the topic. SEOlium: I think you love your job. What makes SEO so special? Ammon Johns: I touched on this already in my previous answers, of course. I love the range and diversity of the work. The feeling that there are no limits set upon my creativity other than budget, and even that is just another condition to be creative with. I love the open strategy, where infinite possibilities are just waiting to be found and utilized. I love that I can call upon every skill and talent I’ve ever learned, somewhere, and make it work for me and my clients. I have to confess that I’m a bit Machiavellian – I love to be the power behind the figure everyone is looking at. I love the game, and I like being unseen while playing it. SEOlium: What do you think makes an excellent SEO expert? Not just good. Excellent! The humility to not just admit where they are wrong, but to actively seek it out, and question their every assumption and decision. All the great SEOs I’ve known just had a mindset that was always seeking a better, more optimal way, to do anything, or everything. They question everything, test their assumptions, challenge the limits, always looking to learn to find a better way. However, that’s not enough alone. They also need enough practicality to balance that curiosity against the pragmatic need to focus, to prioritise, not to become lost in academic interest without practical application. Find something meaningful to improve and enact it, rather than always be looking for better but never getting those ideas into action. I’d also add to that that unless they are purely going to specialize in technical issues, then they need to have all the skills of a good marketer too – foremost of which is empathy. You can’t sell anything to anyone effectively if you cannot understand their need, and have empathy for their situation, so that the experience of the customer is something else you can optimise. SEOlium: Is SEO science or poetry? 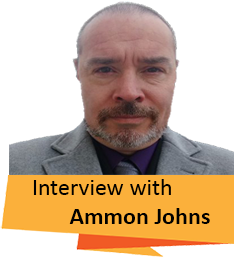 Ammon Johns: Are you really sure those are not the same thing expressed in different ways? Are not both science and poetry simply ways of expressing and exploring deep truths? You can number-crunch, process big-data, and get hard statistics of all kinds, but so often this fails to reach any meaningful truth because the scientist with the slide rule has measured everything, but applied the ‘art’ of understanding to none of it. You can apply all kinds of science to get a page to rank in search, and you can measure how well people click it. But having the ability to know what to test, what words will matter, is the art. Getting position may be pure numbers, but converting that position to clicks, converting clicks to sales, and converting sales to customers, means touching people in the way that art does, and science doesn’t. You need both. But you need even more to see what I said at the start. The two are not different things, just alternate routes to truth. They are 2 sides of the same coin, and the coin is how people think and respond to stimulus. People will buy things they want and will never use – just look in your kitchen for some of those gadgets bought over the years – but they won’t buy anything they could use but don’t want. People don’t run on science and logic. They act on emotion and instinct, and just edit in the rationalization afterward. SEOlium: What do you think of video content? Do you personally prefer to read or watch? Ammon Johns: I love both. You decide which to use by which will be the more useful format for the specifics of the case. It’s a lot easier to bookmark and precisely refer back to sections of writing than mess around with timestamps in a video. You can also choose your own pace in reading, skipping ahead and skim-reading, so for knowledge extraction, I’d say text has the advantage. But there’s still value in being able to sit back with video and absorb, having the pace set for you. Ultimately, knowledge is often better from text, but experience is better from video. Think about which one of those you want to transmit and give. SEOlium: Have you ever felt that having an overly scientific approach to SEO may kill the magic and vision? Do you think one can have both? Ammon Johns: This is the science versus art debate again. Not only can you have both, I think you need some of both. Is a picture art or science? Does that answer change whether it is an oil painting or a photograph? How about if a picture was a photograph from a camera drone – does the art that went into creating the drone, the imagination from which it sprang count? Does knowing the science behind how and why canvas stretches, how pigments and viscosity work on a technical level make a better painting than just artistic feeling alone? Empathy is more art than science, because it is about emotion, about feeling, and while that may be transmitted by electrical signals and chemistry, it is triggered by a purely instinctive part of the brain. For all the number-crunching you can do to process past data, the fact is that people are emotional and instinctive, and very, very complex. We often surprise ourselves with our reactions to things, even with a lifetime of experience of our own ‘past data’. Any science that is sufficiently in advance of our understanding is indiscernible from magic. Art is often how you experience or express a truth you can’t put into a formula, or measure in hard units. So, it all comes back to the question I responded with the first time: Are you really sure those are not the same thing expressed in different ways? SEOlium: What do you think the future has in store for us SEOs? Ammon Johns: Change. Same as our past. The internet is still growing, evolving, becoming. It’s far from done yet. With mobile, we started to see a change that is going to take a decade to realise, but it is where the Internet is not something we go to, or refer to, but is instead all around us, all of the time. Eventually, either smart-glass or virtual displays will give us augmented reality displays everywhere we go. The ‘device’ that we connect to the internet with is going to disappear, eventually. When we need a screen, or an interface, one can be projected, just like laser keyboards already are. We’ll be able to interact with that input, even if it is virtual, just like we did with the Xbox Kinect years ago, or like we do with other VR devices and tech. Did you know that Microsoft managed to replicate all the positioning functionality of the Kinect using just regular laptop stereo speakers? All the technology needed already exists. It’s just a case of having the cost come down through mass production and the simple laws of supply and demand. The smartphone has been an amazing gateway, and a window into what is to come. Now you just need the VR or AR display to mean you never need to actively look at the phone and it will be like the phone has disappeared. The shop windows will display goods that are most appealing to us, individually and contextually, or perfect for that gift we need to buy for that birthday next week. Our virtual assistants will be helping us with various tasks and appointments through the day without active prompting. The Internet will surround and flow through every aspect of our lives like some supreme AI overseeing our day. Whether that is a good thing or not is something we’ll have to all help shape in the choices we make over the coming years. Some of those choices will be about how we vote, but most will be decided by how we vote with our wallets. SEOlium: What are the pros and cons for using in-house / agency / freelance SEO? Ammon Johns: I’ve answered this question quite a lot in the past, so I’ll keep the answer relatively brief. In-house SEOs are the most in-touch with the politics and practicalities of the company. They know about things that no outside agency or consultant would ever be told. They can see opportunities that would never be brought to an outside agent. The company pays the salary and expenses directly, and in return gets 100% of the employed time of the SEO. But the downside is that the SEO lacks diversity of ongoing experience under other policies and companies. The company often fails to allow time for the SEO to simply practice, experiment and learn, and just treats them like any other office worker – turn up in the morning, work all your hours on tasks, and go home. This means the average in-house SEO diminishes in value the longer they stay in-house, deprived of learning experiences outside the windowless tower. The agency SEO often (not always) has the greatest diversity of experience and perspectives in his working week. This, however, isn’t absolute, and there are many cheaper agencies that just turn work into a sort of production line, making this an in-house SEO role where the in-house results are simply sold on at a massive mark-up. A good agency though brings each SEO lots of diverse clients and cases to learn from. A team of fellows with whom to share and compare notes and experience. Thus a good agency tends to keep its SEOs sharp and in good learning. That all comes at a huge cost to the end client, of course, who is paying the entire agency a pretty heavy fee compared to the actual hours of work they get. I’ve seen more than a few agencies where a client is effectively paying a junior SEOs salary in their yearly fees, yet is receiving no more than a few hours work of such an SEO per week in return. The freelancer is often in the middle of those two positions. He may not have as many clients as the agency to draw experience from, but instead he can set his own hours for research and learning – if he doesn’t fall to the temptation to sell all his time away. He’s still an outsider to the clients compared to what the in-house guy gets to see and know about, but sometimes client companies pay more attention to an outside consultant than to their own staff anyway. What the freelancer doesn’t have is the little securities, like paid holiday, sick pay, or someone else to pass work to if swamped or incapacitated. The good freelancers find ways to provide their own substitutes for these things. In general, any company that is really serious about SEO should use a mix of at least 2 of the three types of SEO. Have in in-house team, backed up with external agency resources or consultants, and don’t overwork your in-house people to the point where they are not constantly learning and keeping up with the ever-changing world of search and digital marketing. SEOlium: Can you think of 3 SEO experiments you’d like to see happening? Anytime I think a thing would be good to test or experiment with I simply test it or experiment with it. Whenever I see experiments run by most others, I mostly see the hundreds of variables they haven’t excluded or accounted for. The lack of control groups and control data, etc. Other people’s ‘experiments’ are, generally, so woefully unscientific and nonsensical that I frankly get annoyed. So it would never, in a million years, happen that I’d think, “Ooh, I wish these idiots would ruin some data and then make wild and stupidly childlike assumptions about X”. SEOlium: What are the most common mistakes companies make when promoting their businesses online? Choosing an SEO provider or agent based on the things someone who doesn’t know SEO thinks they need. Setting the steps someone assumed they needed to take to reach a destination as more important than the actual destination. e.g. companies that go out to buy links because they think that’s what they need to achieve their goal. Just go to a qualified SEO with the end goal, and it’s their job to tell you the most effective and efficient method to reach that goal. SEOlium: What are some hard truths about SEO agencies usually don’t disclose to their potential clients? Ammon Johns: How poorly qualified the junior staff actually doing the majority of work on that client’s case really is. Instead, they like to pretend that the senior guy who ‘oversees’ the work (for all of 5 minutes per client per day) is the guy doing it.